However, OneNote’s Achilles heel in this comparison is definitely its web clipping functionality--or its lack thereof. If a user clips content from a webpage and adds it to OneNote, it is only added as an image. This has two ill effects on the comprehensiveness of the application. First, any video content or links are rendered unusable, and second, a user is unable to copy and paste content from the clipping. Furthermore, only users with a Microsoft account are able to use the web-clipping function. Whichever application you elect to use, you will want to make sure that employees aren’t using their personal accounts to store private company data. While both applications are relatively secure ones, it is better to be safe than sorry. Each application also has a business/enterprise version to help you retain control over your company data. 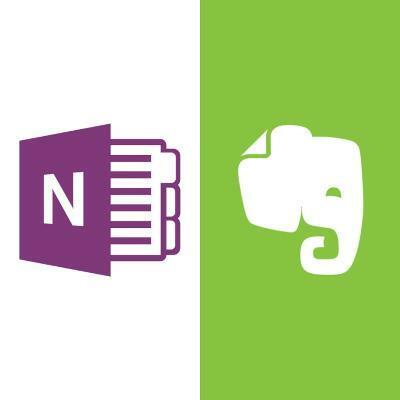 Whether you choose to utilize OneNote, Evernote, or both, White Mountain IT Services can offer you some assistance. Give us a call at 603-889-0800 for more information.